I am really glad it is not still Monday because I am wiped! A four day weekend made getting back into the grind THAT much harder. Two dentists appointments later and I am ready for the weekend again. The ScrapTiffany challenge this week is to scrap your bucket list. I had a hard time with this one so I ended up doing a photoless layout. I always forget how fun photoless layouts are. You get to use what ever product you want and really focus on the journaling. Here is my take on the challenge. 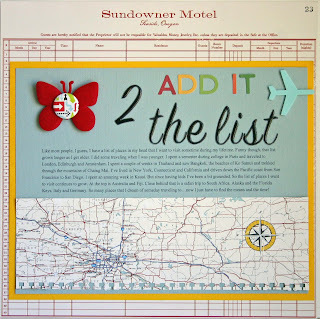 Go on over to ScrapTiffany and check out all the other layouts. If you take the challenge be sure to email it to Tiffany HERE to be entered into the monthly drawing for a free kit! 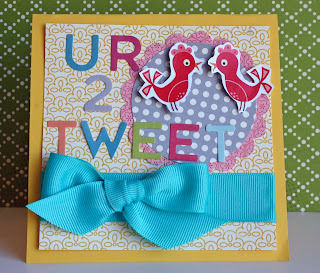 Love your LO and card, super cute! Rebecca, you bucket list layout is wonderful!! Love the card, it's too Tweet! Cute stuff,girl! I should do one of those bucket list pages! Sorry about the dentist visits :( Those stink! Great layout, I have never done a photoless, I would not know where to start!! and it is a cute card! 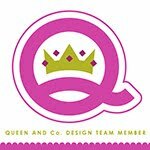 Love how you did a photoless layout & your card is adorable! Love that layout and the card is so cute!